This winter kicked off with a bang. Unseasonably wet and windy weather was the norm with front after front bearing down on us. As we move into 2019, we are finally drying out and seeing more of a typical winter pattern with several crisp bluebird days each week. 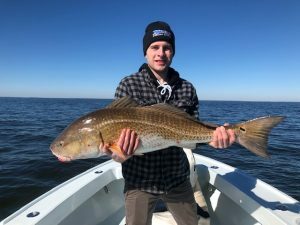 Coastal Georgia Fishing in 2019 is off to a great start! 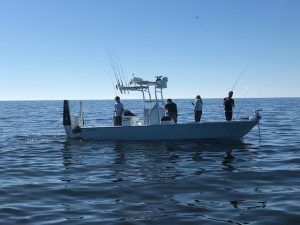 Even with the strong freshwater influx last month, Coastal Georgia Fishing inshore was still pretty strong with good numbers of quality spotted sea trout, redfish, and sheepshead coming boat side. Hopefully the fresh water will continue to disperse and we can expect plenty of action on the proper tides deep in the Golden Isles backcountry. 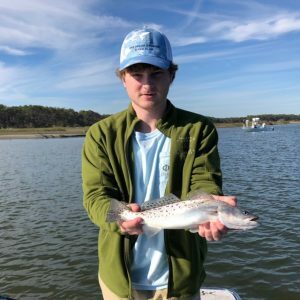 Coastal Georgia Fishing in the shallowest of waters is excellent in the winter months. 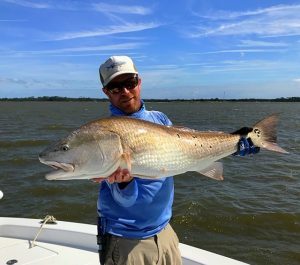 If sight fishing redfish in clear skinny water is your idea of a good time, grab a fly rod or light tackle combo and lets go on the hunt. Typically our waters clear up this time of year and when found, large schools of red drum will actively feed on lower stages of the tide. Ideal conditions are mid day lows with ample sunshine and light winds. That being said, we have had good success on extremely foggy days as of late as well. Small flies and artificial lures like the DOA 2.75″ shrimp with a delicate presentation are generally most productive. 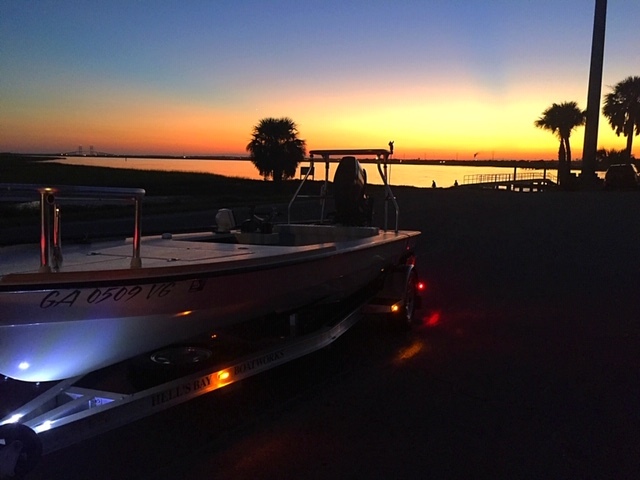 We know you can’t always pick the timeframe to fish with optimal tides or conditions. However, if seas are calm there is always the nearshore reefs off of Saint Simons Island, Jekyll Island, and Cumberland Island. 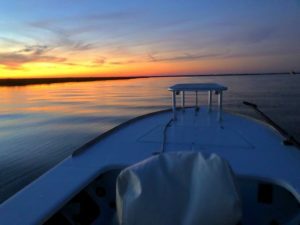 These trips are our most popular in the winter and spring months for Coastal Georgia Fishing. 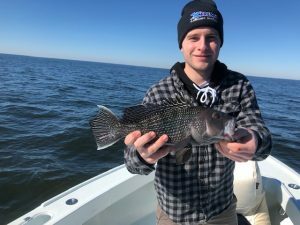 Fast paced action is the norm, with Black Sea Bass, Summer Trout (Weakfish), Bull Redfish, and bluefish the regular customers currently. 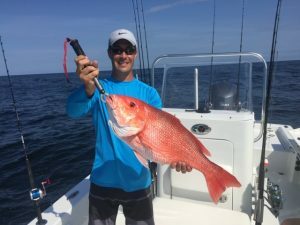 As spring approaches you can also find Sheepshead, Black Drum, Spanish Mackerel, cobia, huge sand tiger sharks, and many other species as well. With our new Dorado Boats and electronics from Simrad Yachting, the reef fish can’t hide. For longer days, we can also scoot further offshore where we find a larger variety of bottom dwellers, jacks, kingfish and you just never know when a pelagic fish like a wahoo, blackfin tuna, or even giant bluefin may swim by the boat. Over the past couple of years it seems that more and more regions have overlapping spring breaks for the kids. 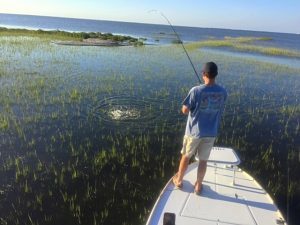 Due to this, I encourage you to book your Coastal Georgia Fishing excursions early just as you would your accommodations. We will be running multiple trips per day out of several boats so Click Here to reserve your spot early or just call or text.